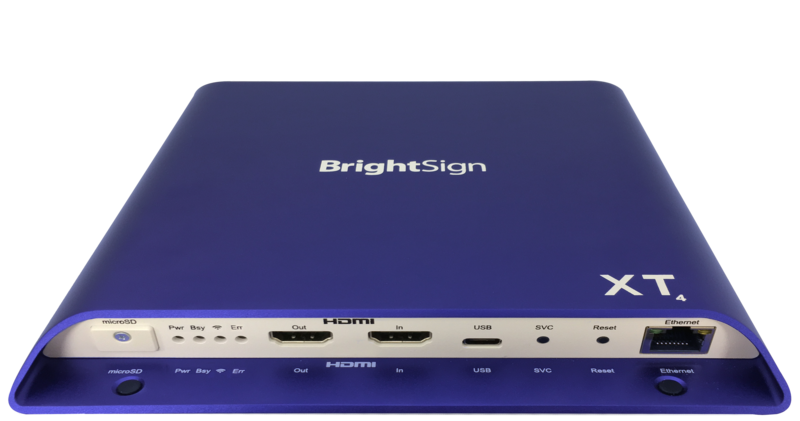 Includes all the features BrightSign XT244 offers plus serial, dual USB (type A and C) and Live TV playback via the HDMI 2.0a input to play content from any broadcast channel – even protected HDCP content. 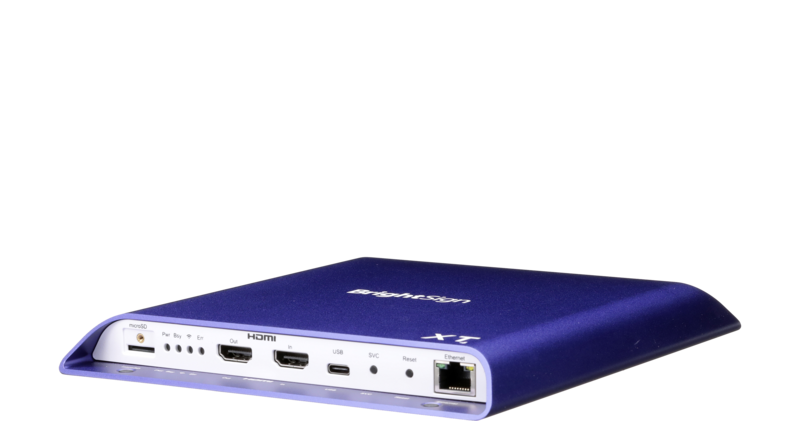 The XT1144 has the video and graphics processing chops for a no compromise, immersive digital signage experience. 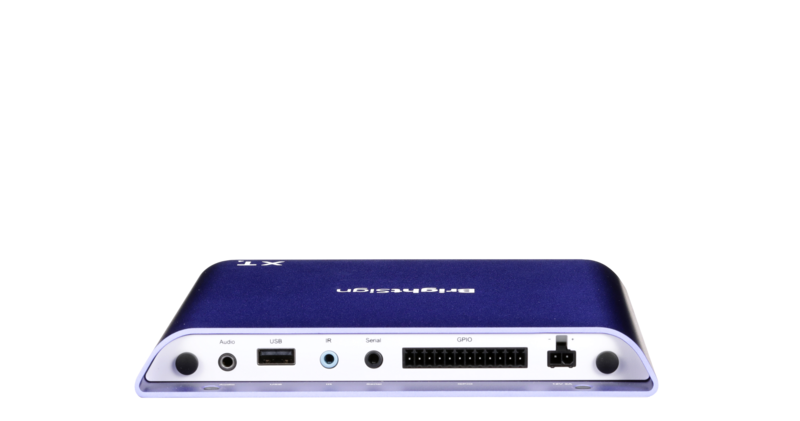 Integrate Live TV, flawless 4K video, steaming social media and swipe/gesture interactivity to deliver a high-end corporate lobby experience. For an experience that’s just like being there, deliver the Live TV broadcast as it’s happening surrounded by immersive HTML5 and social media experiences, happy hour specials and other revenue-enhancing promotions.